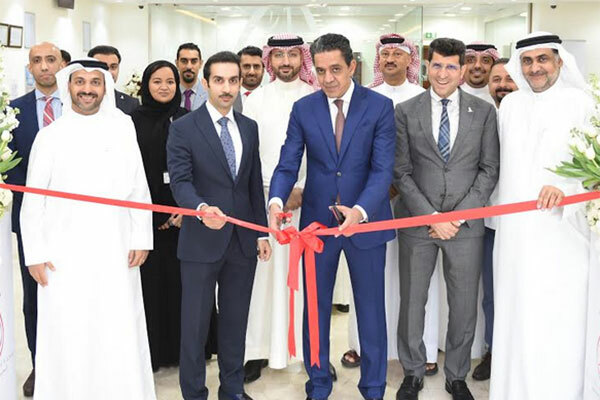 Al Salam Bank-Bahrain, one of the pioneering Shari’a-compliant banks in the Kingdom, has announced today (October 22) the official inauguration of its newly renovated Manama branch. The branch, strategically located in the heart of Manama, will offer enhanced banking solutions to clients. An official opening ceremony was presided over by Fahad Yateem, director of Islamic Financial Institutions Supervision at the Central Bank of Bahrain (CBB) along with Rafik Nayed, Group chief executive officer (CEO) of Al Salam Bank-Bahrain, Anwar Murad, first deputy CEO of Al Salam Bank-Bahrain and senior officials from the CBB and Al Salam Bank-Bahrain. “I would like to take this opportunity to express our sincere gratitude to the Central Bank of Bahrain and our stakeholders for their continuous support and trust in Al Salam Bank- Bahrain,” he added. Customers can visit Manama branch from Sunday to Thursday – 8am to 3:30 pm. In addition, a 24x7 dedicated cash deposit ATM and iBANK self-service workstation is made available for customers to access our banking products and online banking in a secure environment.